It is necessary to reserve a bus seat for Kanazawa- Shirakawago highway bus. Insurance is not included in the tour price. Credit cards are not accepted. Reservation two weeks in advance is requested. Tour guide Takashi reconfirms your application. Tour guide Takashi will reserve highway bus seats for customers after he confirms a tour. Board on highway bus at 8:40a.m. 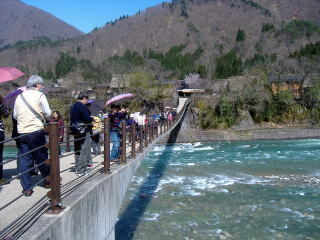 from Kanazawa-Arrive at GokayamaNosato at 9:40a.m.-Stroll Suganuma Gassho village - Leave ther at 10:53a.m. 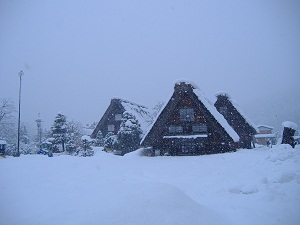 - Arrive at Shirakawago at 11:30a.m. - Observation deck-Visit one Gassho farmhouse-lunch- Board on a bus at 3:20p.m.-Get back to Kanazawa at 4:45p.m..
Tour guide fee: 27,000 JPY, which includes transporation fares for a guide, Takashi. Number of participant: a group of not more than 15 persons. Transportation fare/person : Bus fare Kanazawa - GokayamaNoSato \1,540, Suganuma - Shirakawago \860. Shirakawago - Kanazawa \1,850. 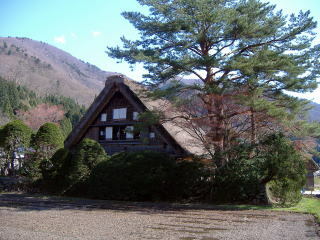 Admission fee/person: 0ne Gassho farmhouse \300, Suganuma folk museum \300. Shuttle bus \400. Lunch and personal expenses are not included. Guide's transportation fares are included in the guide fee. A lunch for a guide is requested to be paid by customers. Tour starts at 8:30a.m. 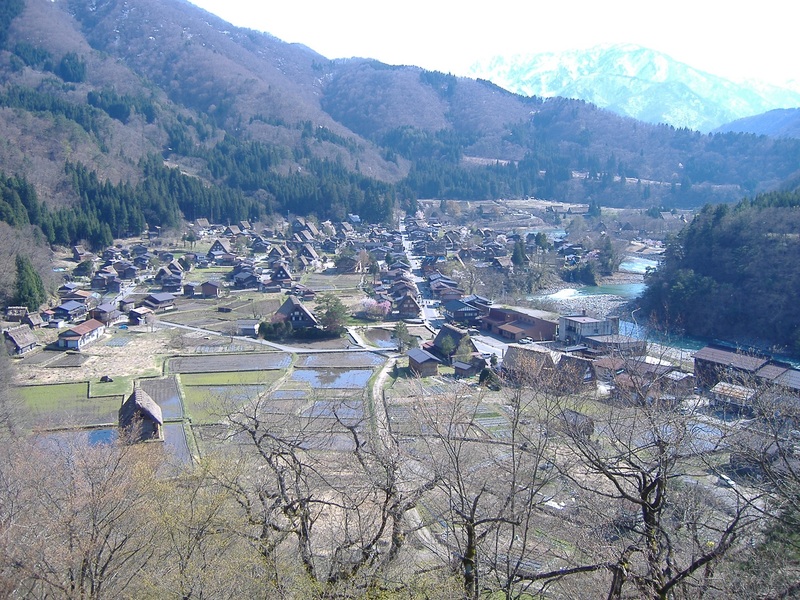 and ends 5:00 p.m.
We will meet at your hotel lobby at 8:20 a.m.
Shirakawa-go village consists of a group of three or four story-wooden buildings of farmhouses. There are 59 Gassho farmhouses in this village. 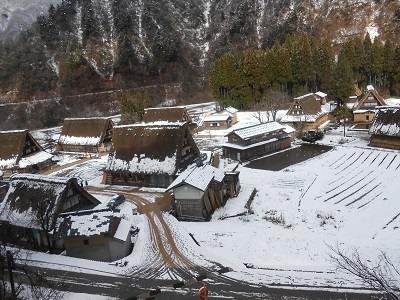 Gokayama Suganuma village has 9 Gassho farmhouses. They are called Gasshozukuri houses which literally mean that palms of hands are joined together in prayers. Visiting one well-known farmhouses will give us further understanding of the inside structures. It is really amazing to see that these big wooden farmhouses were built almost 200 years ago by common people, and that they are still used by owner families for their daily living. When I visit here to guide overseas tourists, I am always impressed with these big wooden buildings. They are treasures for everybody.